It's official, Autumn has begun. Pumpkin spiced lattes are back (the new pecan one is a lot nicer though), everyone's getting their big coats out and the sound of boots can be heard on the pavements. It's that time of the year again. I hate to be a basic blogger but I do adore Autumn, it's by far my favourite month for fashion and beauty but also I just love the sound of the crunching leaves under my wheels, how it's still warm enough not to need to pile on huge scarfs and gloves, there are just so many small things that I can't get enough of during this season. 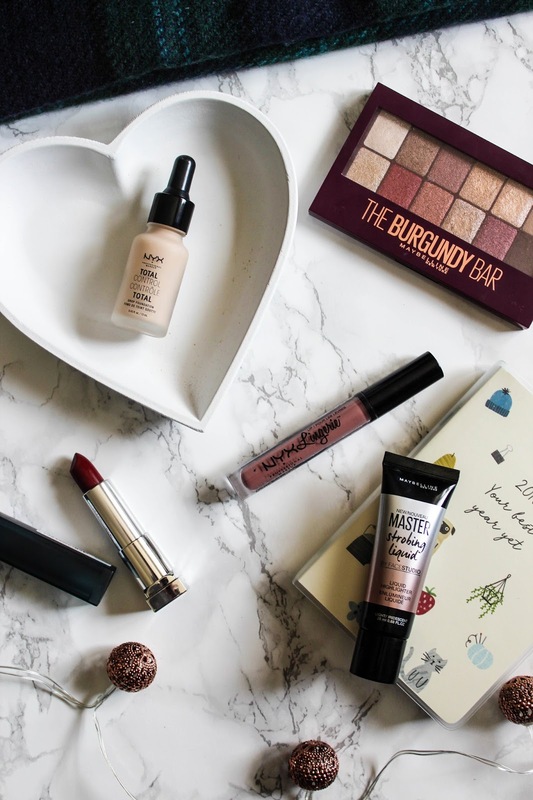 September marks the start of a shift in beauty trends too, the darker lipsticks come out and we find ourselves reaching for warmer autumnal eyeshadows. When it comes to makeup I've always favoured a more natural look, something better designed for Spring and Summer but I'm so ready to start embracing a darker, more bold look. I've picked up a few red and berry lipsticks recently and it's definitely going to take some getting used to but I'm starting to love seeing more colour on my face. So, today I thought I'd share with you some of the products that I've been reaching for more now that Summer is behind us. I didn't even mean for the post to work out this way but all the products are either from Maybelline or NYX, I must be really enjoying both brands right now! I've never been one of these people who wears foundation everyday, or every time I do my makeup. I'm not blessed with perfect skin but I do have pale skin so my inability to find a shade that matches me perfectly has really put me off foundation over the years, even though I love the finish and look it gives to my skin. So, when this NYX foundation came out a couple of months back I was immediately interested once I'd seen the impressively large shade range. The range of pale foundation is far better than most highstreet brands, I didn't have to get the palest shade for once, so I just hope that the darker shades are just as good for a wide variety of skin tones, I might have pale skin but I still have an easier time finding foundations to match my skin tone compared to people of colour. 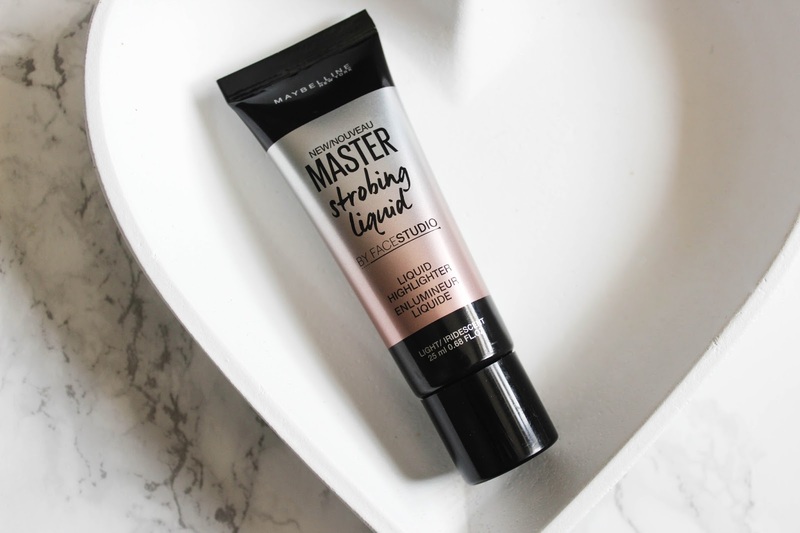 The foundation itself quickly became a favourite, the formula means that you can build it up to the coverage that you want, I prefer a light coverage but I'm enjoying the opportunity to build it up if I want. 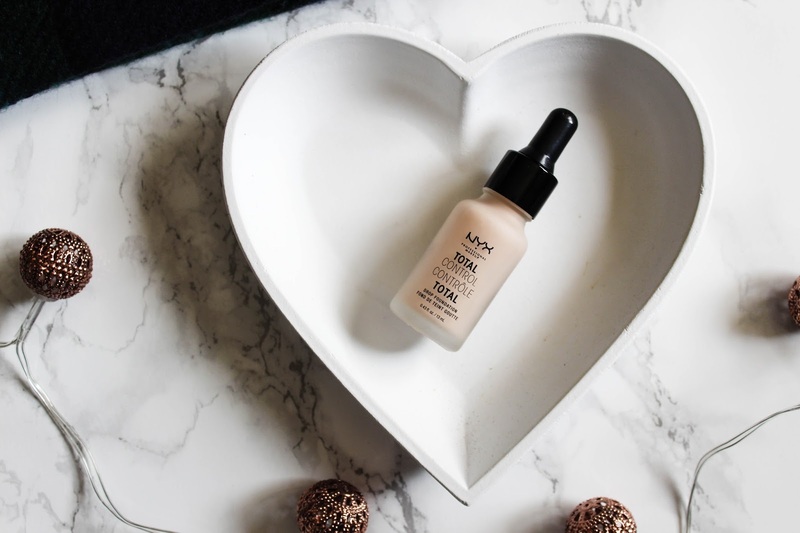 It's a small bottle so my preference for light coverage means it should last me a while but I'd imagine that if you favour heavier coverage, this isn't going to last you long. The consistency is perfect for my skin though, not sticking to any dry patches, so I can see me re-purchasing this once I run out. I saw this highlighter on MakeupSavvy originally, Fee's glowing review sucked me in and I popped it on my wishlist but until recently I'd forgotten all about it. I was trying to kill some time in Boots a couple of weeks back, browsing the makeup section, when I caught a glimpse of this on the Maybelline stand and suddenly remembered all about it. I popped it into my basket, dreaming of my potentially glowing cheekbones and headed home to try it out straightaway. When Fee said this is pigmented she wasn't lying, it really is packed full of everything you'd want from a highlighter. As much as I love powder highlighters they can often be a little dull but this really stands out and does it's job, I've not been reaching for any of my powder highlighters since getting this! With the days getting shorter and darker I'm definitely all about getting that 'from within glow' and this product can really achieve that. 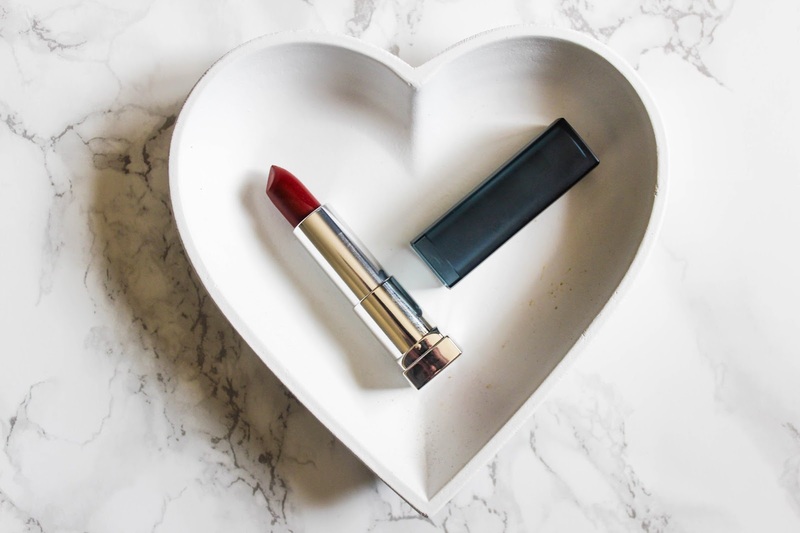 This is a lipstick that even just a few months ago I wouldn't have gone for but recently when I was clearing out my makeup I tried one a few dark lipsticks and was surprised by how much I'd liked them. 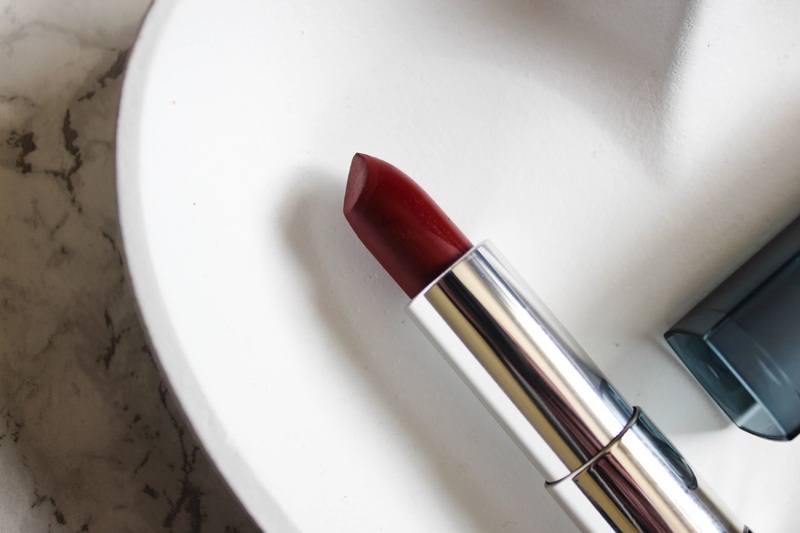 So, since then I've been on the hunt for a berry coloured lipstick and a red one too, I'm still hunting for a red but I think I've found my berry shade! It's definitely going to take me a while to get used to seeing myself with a dark lipstick on but I really love the formula of this, it isn't too drying for a matte lipstick and it seems to last well so hopefully that will help me out when adjusting to wearing darker colours. I'm sure I've mentioned this liquid lipstick on here before but I just love it so much that I have to talk about it again. I bought this months ago and have been waiting for the colder months as it is definitely a product that is more suited to Autumn and Winter. 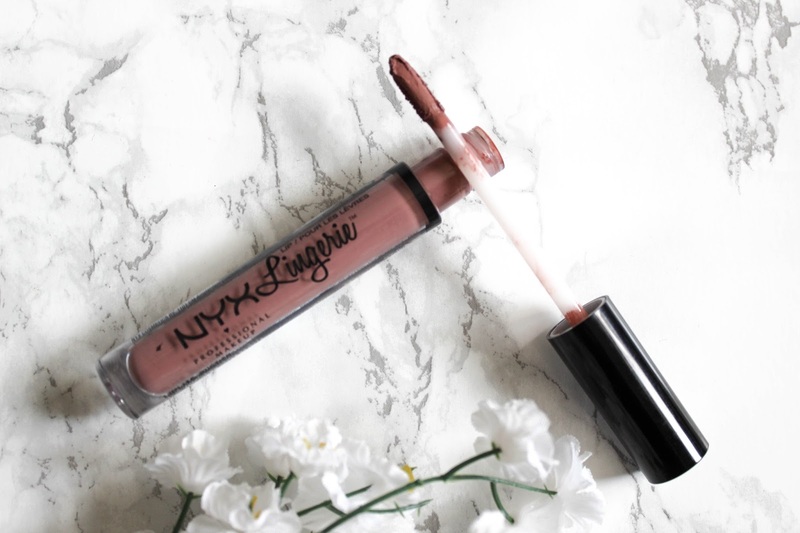 The formula of these lip lingerie's from NYX is one of my favourites when it comes to liquid lipsticks, it's nowhere near as drying as some and it's so long wearing. 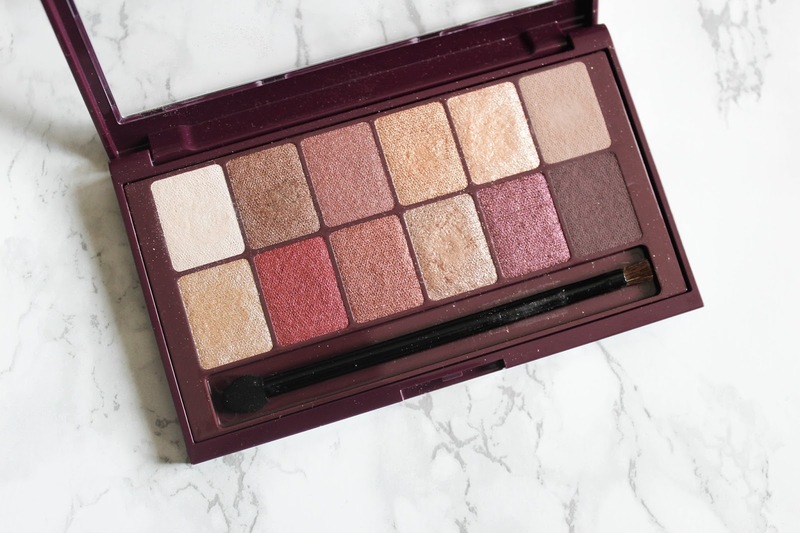 I bought this palette about a month ago with Autumn in mind, it was around the same time that the Naked Heat palette came out, an eyeshadow palette that I wasn't very drawn to but this significantly cheaper Maybelline one really caught my eye. It's full of wearable browns, purples and golds and I've gotten so much use out of it already, in fact I've barely touched my other palettes since getting this. All the shades are pigmented, I have found that they don't last all day but they do last for most of the day. It's definitely a must have palette for Autumn. What products are you reaching for more now it's Autumn?